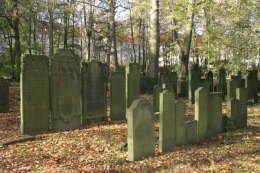 The Jewish Cemetery in Altona was established in 1611 and continually expanded. The “good place” on Königstrasse has international repute as one of the most significant Jewish burial grounds worldwide because of its size, age and the religious cultural significance of many of its gravestones. The cemetery, just under two hectares (nearly five acres) in area, consists of a Sephardi section (Sephardi Jews are immigrants from the Iberian peninsula and their descendants) and an Ashkenazi section (Ashkenazi Jews are German Jews and immigrants from Eastern Europe and Russia). These sections were originally separate one from the other. 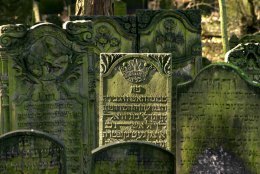 According to prominent experts in Jewish Studies, both sections make the cemetery a strong candidate for inclusion in the UNESCO World Heritage. The cemetery, which has not been further used since 1869, is a religious site owned by the Jewish Community, preserved in the sense of eternal rest for the departed. The impressive gravestones are being continually restored. 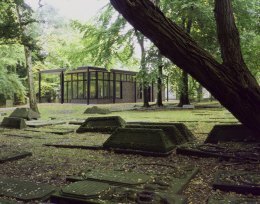 In 2007, the Hamburg Monument Foundation created the visitors’ centre at the Eduard Duckesz House and maintains regular opening hours and conducts tours by qualified guides. October - March: Tue, Thu, Sun 2-5 p.m.
April - September: Tue, Thu, 3-6 p.m., Sun 2-5 p.m.